Whether you want to safeguard certain assets or you are incorporating a trust into your estate planning for children and grandchildren, use these steps to get a clear picture of how to establish a trust. The first step in establishing a trust should be determining what assets you would like to safeguard within the trust itself. A wide range of assets can go into a trust, but it is important to remember that you can't simply take back your assets. Establishing a trust is often irrevocable, so you need to give careful thought to what gets placed in your trust. Cash, stock and real estate are some of the most common assets for trusts. Placing these assets into your trust can bring you significant tax savings since they are no longer technically at your disposal. The next step in establishing a trust will be determining the right location for it. Many trusts are established domestically, but that is certainly not a requirement. By establishing your trust offshore, you might be able to save substantially on attorney and management fees now and in the future. Some offshore destinations, such as Belize, are popular because they don't have substantial government intervention into financial matters, which may be a priority for you. After the Trusts Act of 1992 was passed in Belize, the tax-neutral country has been a top pick for savvy investors planning to establish a trust offshore. Your next step should be deciding who the beneficiaries of the trust will be as well as what, if any, stipulations are in place for them. Beneficiaries are those who will have access to the assets within your trust in the future. They typically include spouses, partners, children and grandchildren, but friends and even charitable organizations can also be beneficiaries of your trust. Then, determine when they will have access to the trust. It can be on a specific date, such as 2035, or after a milestone is reached, such as graduating from college or having children. The final step should be finding a trustee that you can depend upon. After your trust is established, you won't have indiscriminate control over what happens to the assets or who they go to. It is up to the trustee, using your original directions, to follow out your intent. 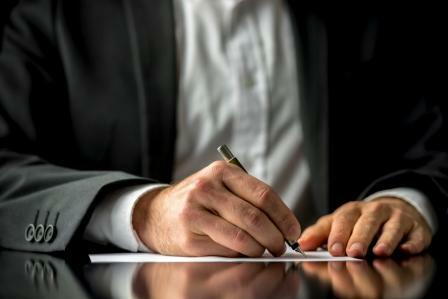 You might need to go into detail with your trustee when drafting a trust deed, so it is important that you correspond with someone who you feel comfortable with and who trust enough to carry out your wishes today, a decade from now and perhaps even when you are no longer around. If you're planning to establish a trust in the future, these steps can walk you through the process and ensure that you end up with the best trust for your needs.